Pioneers in the industry, we offer tooling trolleys, quick change sets, quick change tool post, quick change tool posts, mini turning tools and hardness tester from India. With the constant support of our expert team, we are engaged in offering a huge assortment of tooling trolleys. this superior quality tooling trolleys are fabricated by making use of latest designs. 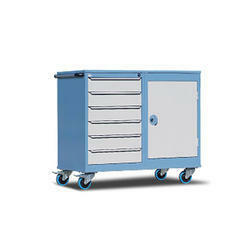 Thus, these tooling trolleys are highly appreciated for their easy maintenance, durability and efficiency. We offer these tooling trolleys at market competitive prices. Banking on our enriched industry experience, we are engaged in offering a huge gamut of quick change sets. These high grade quick change sets are manufactured in accordance with international quality standards to ensure durability and reliability. We take into account the latest parameters and standards set by the industry and offer suitable range of quick change sets. 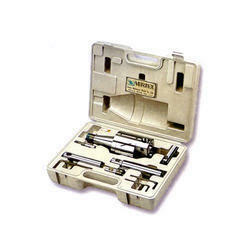 We are the leading provider of quick change tool posts. Fabricated using finest grades of raw material these tool box proves to be very useful in several industries across the domestic market. Banking on our enriched industry experience, we are engaged in offering a huge gamut of quick change tool posts . These quick change tool posts are made from genuine parts to ensure higher durability and efficiency. 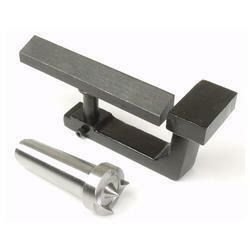 These quick change tool posts are designed to be used for various industrial applications. Known for their easy usage techniques, these quick change tool posts are appreciated for their superior quality. With the constant support of our expert team, we are engaged in offering a huge assortment of mini turning tools (DCMT) (set of 4 tools). 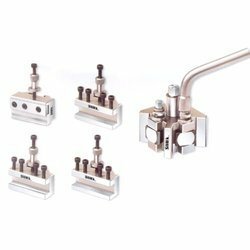 the high grade mini turning tools (DCMT) (set of 4 tools) is widely appreciated in the markets for its optimum quality, durability and efficiency. The superior make mini turning tools (DCMT) (set of 4 tools) is designed and developed in tandem with international quality standards. Banking on our enriched industry experience, we are engaged in offering a huge gamut of Hardness Tester. These high quality hardness testers are offered in diverse specifications, as per the requirements of our clients. 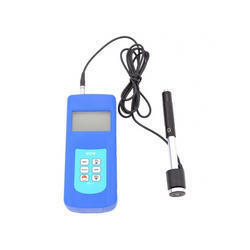 We fabricate these hardness testers as per the industry standards using first grade raw materials procured from reliable vendors of the industry. With the constant support of our expert team, we are engaged in offering a huge assortment of boring head sets. This high grade boring head sets are designed and developed by making use of first grad equality raw materials, coupled with advanced technology. We offer these boring head sets at market competitive prices to attain maximum client satisfaction.